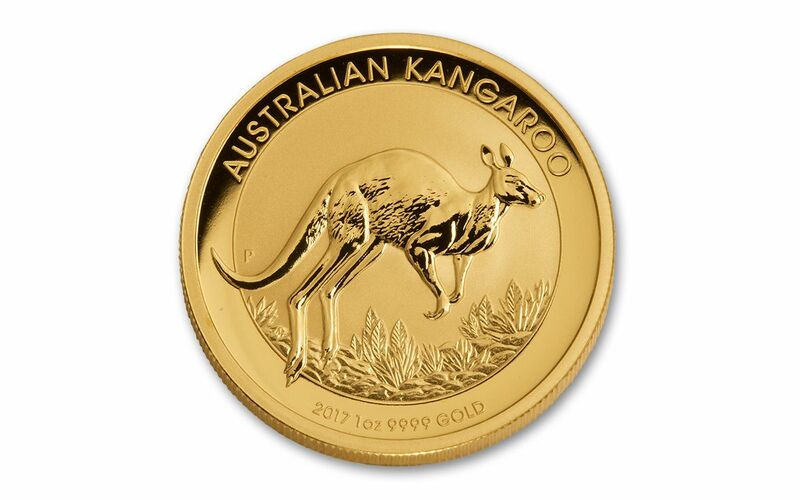 2017's Australia One Ounce Gold Kangaroos Are in the Vault and Ready to Bounce! After seeing the Perth Mint's design for the 2017 Gold Kangaroos, we've been waiting with anticipation to have these in our paws. Now that they've arrived in our vaults and we've seen them in person, we have to say that they've exceeded our expectations! The artisans at the Perth Mint have topped themselves yet again with the 2017 Kangaroo design, depicting our favorite marsupial bounding through the brush of an outback plain. 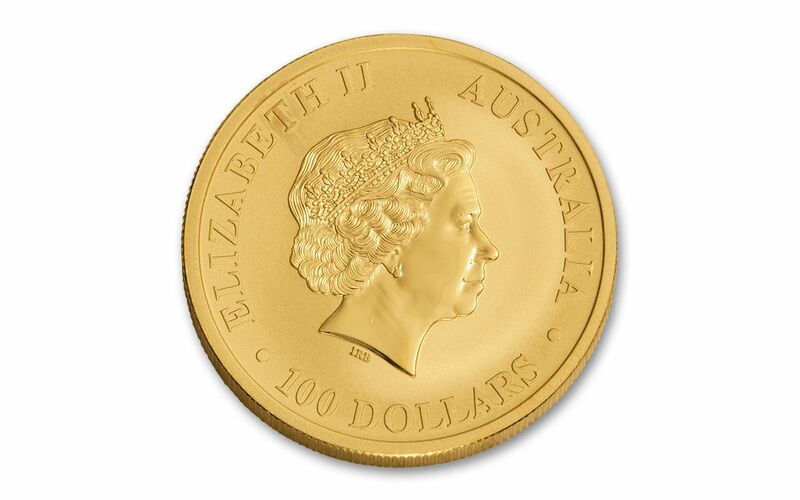 Owning this legal-tender coin assures that you have one ounce of 99.99% pure gold in your hands, minted right in Perth as indicated by the "P" mintmark. Flip your Australian Kangaroo over and you'll see Ian Rank-Broadley's effigy of Her Majesty Queen Elizabeth II, along with the engraved denomination of 100 dollars. 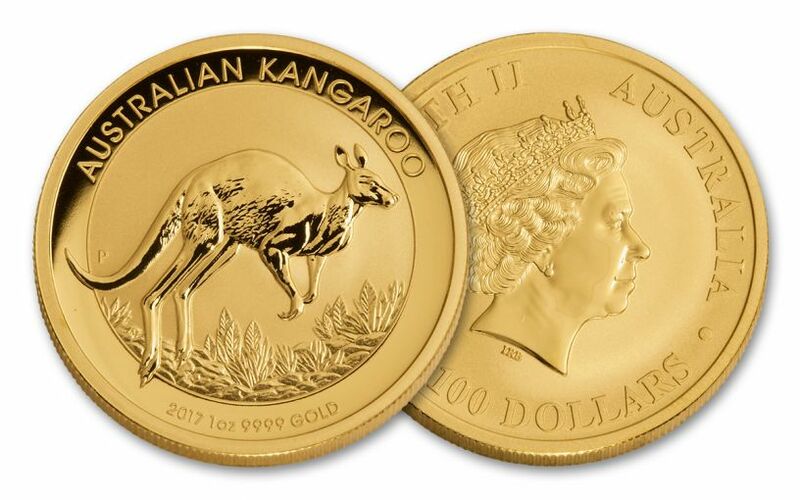 You'll receive your one ounce Australian Gold Kangaroo exactly as it left the Perth Mint -- in Brilliant Uncirculated (BU) condition with its entire original mint luster. Australian Gold Kangaroos have always been a collectors' favorite, and with 2017's crisp and visually arresting design, we expect demand to jump quickly. Tie one (or several) of these Kangaroos down for your collection today!